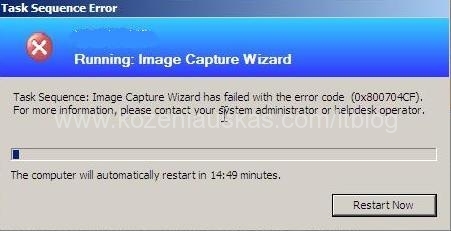 Image Capture Wizard has failed with error code (0x800704CF). For more information, please contact your system administrator or helpdesk operator. Failed to run the last action: Capture the Reference Machine. Execution of task sequence failed. This basically means that the network drive that you are trying to capture image to cannot be accessed. 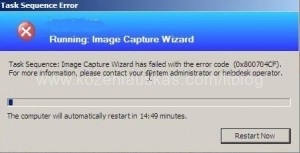 Make sure that the user you’ve provided in capture wizard has enough rights to access the network drive and write to it. Account can access the betwork path but still facing the same issue. you will probably see that there is no network card found. You have to create a new Boot.wim (Winpe) image with Network card drivers suited for your hardware. The easiest way to get rid of this problem is to plug in another disk and dump the image into the secondary disk…then copy it out into your SCCM server shared folder.